The 3rd annual Shinsedai Cinema Festival which spotlights Japanese film starts tonight at the Japanese Canadian Cultural Centre in Toronto. The evening begins with a reception at 7pm. The opening night screening will be of Koji Fukuda's Hospitalité and is scheduled to begin at 8pm. Producer/actress Kiki Sugino who stars in the film will be in attendance a participate in a Q&A after the screening. Other guests in attendance will be actor/director/comedian Devi Kobayashi to present his double bill of comedies Mariko Rose the Spook and Hikari on Sunday, July 24th at 5pm. 15-year-old Ryugo Nakamura will present the North American premiere of The Catcher on the Shore on July 23rd at 6pm. The Japanese Canadian Cultural Centre is located at 6 Garamond Court in Toronto. 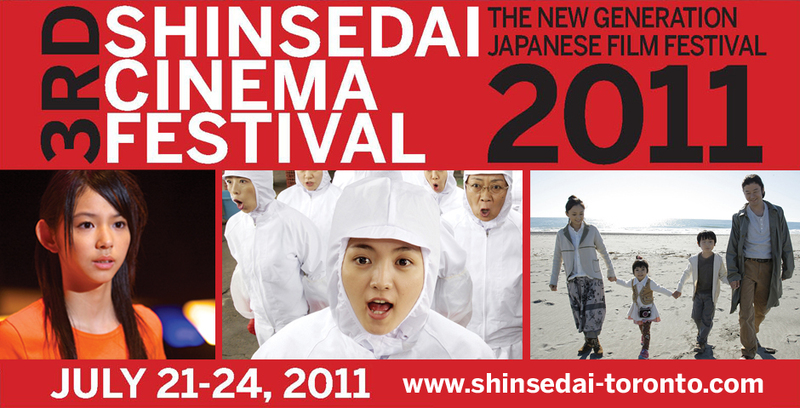 The 3rd annual Shinsedai Cinema Festival will be bringing the best in Japanese film to The Japanese Canadian Cultural Centre for four days between July 21 and July 24, 2011. 2011 has proven to be one of the most difficult in recent Japanese history. Japan is still struggling to recover from the devastating aftermath of the March 11th earthquake and tsunami. 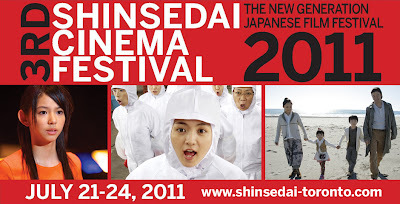 Our thoughts and prayers have been with the victims of this event, but we have felt strongly that offering the 3rd annual Shinsedai Cinema Festival is of key importance at this time. We are very proud to announce the full line-up for this year’s festival, one that highlights the creativity, empathy, humour and resilience of the Japanese people. The 3rd annual Shinsedai Cinema Festival will also mark the first year that we will be offering the Kobayashi Audience Award, a $1,000 prize that will go to the one film in the line-up that captures the hearts and imaginations of our audience.